Why Hire Mosquito Control Specialists? We specialize in family friendly mosquito control for your home and yard. Mosquitoes carry many diseases and viruses which can be very hazardous to our health. The latest health threat carried by mosquitoes and causing problems in Texas is the Zika Virus. Although our regular pest control service plans help reduce and minimize nesting mosquitoes, sometimes a more mosquito specific approach designed and targeted for mosquito protection is needed in order to provide maximum mosquito control. Please contact us now to discuss the best mosquito control service for your home and family. Mosquitoes are among the most annoying pests you can find almost anywhere, especially in the home. They are not only irritating, but also a health threat. In fact, they are known to be one of the deadliest insects on earth. If you are dealing with problems with these harmful pests, Mosquito Control Austin is the right service to consider. A mosquito infestation can put your life at risk. It can also be very dangerous to you and your family’s health. They carry a various diseases including Yellow fever, Malaria, West Nile, Viral encephalitis and Dengue Fever. If there’s an infestation in your office, it can also affect the performance and efficiency of the employees. You don’t want the constant swatting or the itchy bites of mosquitoes. So, if you know you have a problem with these annoying pests, you need to take action before things get worse. Prevention is better than cure, so before they make you or your family seek, call the mosquito control experts for help. X Out Pest is pleased to provide the most advanced mosquito control solutions for commercial and residential properties. Our reliable mosquito control specialists offer our clients the best services they need to keep these serious, disease-carrying threats at bay, allowing you to reclaim your yard. Mosquitoes thrive in tropical areas, but are found throughout Austin. Female mosquitoes feed on blood to help them generate eggs. They have long legs and nose, known as proboscis that female mosquitoes use to bite and draw blood necessary for them to lay eggs. They are very pesky pests that can spread diseases, including malaria. 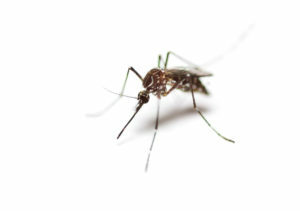 The signs of mosquito activity can really be irritating and these include itchy bites and buzzing of the female mosquitoes. Every individual has a different reaction to bites. While some people experience mild irritation, others experience swelling and intense inflammation. sty swatter. But, if you are looking for an effective and reliable way to get rid of these deadly pests, hiring the right professionals is your best choice. Mosquito Control Austin can help protect you, your loves ones, visitors and pests against the dangerous health threat of mosquitoes. If you want to take full advantage of its benefits, X Out Pest is here to help. One of the reasons why you should hire skilled mosquito control specialists is the fact they are professionals in this field. At X Out Pest, our team of experienced professionals go through extensive trainings to remain up-to-date with the latest mosquito control methods and understand the best ways to take care of mosquito problems in various situations. Our specialists also know which product and how much to use to get the job done right. They are equipped with industry knowledge and technical know-how on the most effective strategies to get rid of mosquitoes and keep them away from your property and family. As one of the leading pest control companies in Austin, we take pride in our unique approach to mosquito control in Austin. Prevention and Maintenance. Our team of specialists will arrive at your home or office to conduct a comprehensive assessment of your property. They will look through your area, your backyard and every corner of your home to determine your situation. They will apply the right treatment to areas where mosquitoes are more likely to live. In addition, we employ our advanced misquote management program to ensure that your property is protected against mosquitoes all year round. Mosquito Control. If you have problems with these vicious insects, our experts are here to help. We will come to your place promptly and deliver high-end mosquito control services to exceed your expectations. We apply various treatments to eliminate mosquito eggs, larvae and kill these insects effectively. Because mosquito infestations happen in Austin, TX, we recognize the fact that there are different pest control companies you can choose from. What set us apart from the competition is our dedication to our customers and the use of holistic approach and safe treatment products to get rid of pests. At xoutpest.com, we are dedicated to protecting you and everyone in and around your property from these annoying insects and the diseases they carry. We are confident with the service we provide, and we are proud to being able to treat mosquito control Austin differently. Need help with mosquitoes at home or in the backyard? Don’t hesitate to call the experts at X Out Pest for professional help. We will protect you home against these disease-carrying insects. Our environmentally-friendly approach to mosquito control makes us one of the best companies you can trust to protect your home from mosquitoes. We know that your backyard isn’t the only place you encounter irritating, disease-carrying insects. Mosquitoes are everywhere and they can invade even your office. For this reason, our team of mosquito control specialists in Austin ensures a mosquito-free environment for our commercial clients across all industries. Whether you run a resort, hotel and restaurant or operate a concert venue, X Out Pest has remarkable mosquito control services designed to cater to your unique requirements.